On June 22 at 12:00 EDT, we are offering a free 30-minute webinar on combined NGS analysis for genomic variation, gene expression, and gene regulation. 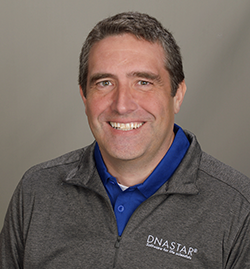 Join DNASTAR’s Matthew Keyser as he demonstrates how to use Lasergene Genomics Suite for combined analysis of any NGS data for genomics and transcriptomics. In the course of virtually any genomics workflow, identifying a group of genes, variants, peaks, or fragments of interest within ArrayStar is typically a desired step in the process. With Lasergene 14.1, we’ve now made it easier to work with these sets by allowing you to send them as a group to GenVision Pro for further analysis. See how it’s done in our 1-minute quick tip video. We will be in New Orleans, June 1-5, attending ASM Microbe 2017 – one of our favorite conferences of the year. If you are planning on attending or will be in the area and would like to meet, please let us know!